Again, Does It Make Sense? Before most readers were born, and for those that were they were still thinking mathematics was a lucrative career choice, reinsurance played a trivial role in the life insurance industry. In Canada 0.04% (rounded up of course) of all life risk was reinsured in 1969. There was a slightly higher percentage in the USA but my notes and memory failed to enlighten me as I wrote this article. Believe it or not for you youngsters, reinsurance was a follower and minor player in the realm of life insurance risk taking. The icons of the era were insurance company leaders not reinsurance personnel. Reinsurance personnel deferred to the wise counsel of insurance leaders who were at the leading edge of pricing and risk selection. Content to beg or cajole for a mere pittance of the premium pot, the reinsurers fought each other for the privilege of table scraps if we liken the fat purses of insurers to the gluttonous meals served to the emerging obese of today. About the only worthy feature of reinsurers in the “good old days” was their research into impaired lives and the experimental risk taking they fostered for notoriety. Administration of risk was lax and tardy but, with most cedants keeping their full retention and reluctant to write policies larger than their retention, the penalty for such lackadaisical administration was trivial and easily manageable by both insurer and reinsurer. It helped that the largess of reinsurers was such that they routinely forgave blunders in insurance company administration as a sign of friendship and hoped for rewards of even more poorly administered business. The smaller companies, fearing the wrath of their reinsurers where their role was integral to their success, tended to administer risk expediently and pay promptly. The fear of not having notified the reinsurer of a big risk (i.e. more than twice their own retention) before the early and unfortunate claim arrived was paramount to their psyche. When a treaty, as casual as it was written in the “good old days”, called for notification and payment within 30, 60 or “do you really need this long” 90 days the practice was to do as the treaty was written (sort of like the Ten Commandments). Tardiness was so rare that I once had an accountant who would call companies five days past the premium and administration due date and inquire as to where be the money and the administrative paper work for both new and renewal business. It was an extremely rare company that Lou had to call more than once in a year! The most heard response from insurer was “No other reinsurer worries about the payment being on time!” Reinsurance was indeed trivial in the scheme of things within an insurer and often the staffs so employed was both part time reinsurance administrators and worst, in some instance, far from the sharpest pencils in the company. Both insurer and reinsurer took the notification, administration and premium due dates seriously but again that was before easy credit that is so fashionable amongst the young (or was until the meltdown of late). 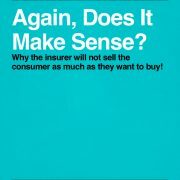 As smaller insurers grew into large producers of risk through the advent of “brokers” and cheap protection products scorned by large companies, and as large companies became addicted to low reinsurance pricing the amount of reinsurance ceded escalated probably some 2000 fold in Canada and 1450 fold in the USA by the end of the century. There remained a serious lack of attention being spent on reinsurance administration by either insurer or reinsurer. The insurer was faced with a myriad of complex issues from government reporting standards and how to manipulate numbers to the bottleneck that was the new business area. Reinsurance administration was rarely one of the top five priorities and had little chance of being considered as important to overall success within an insurer’s executive’s minds. The reinsurer was faced with the need for an ever and often insatiable thirst for new business (risk yes, premiums maybe) and was woefully neglect on enforcing administrative time lines with customers and potential customers. Reinsurers were by their collective mindsets a group encouraging indirectly poor administration — if one does not ask for payment or “supportive paper work” after a while one does not get it. In my opinion, based on recollection and personal frustration, the world of reinsurance administration deteriorated yearly from 1970 onwards and it took sheer catastrophes before a cacophony of voices raised up in horror at the absolutely poor risk management in both the cedant and the reinsurer. Everyone expected the proverbial s___ to hit the fan, but everyone crossed their fingers and leaned on their optimism that carried over from their much praised pricing success. When the eruption of issues came it was like the bursting of a pimple — there was more of the bad stuff below the surface that oozed out and caused great embarrassment. The lucky ones were those new to a reinsurer or a company reinsured as they could point the finger at a generation that “blew it”. it does not matter as in reality it was the perfect storm (an overused phrase) of eruptions within the casual risk management that was practiced throughout the insurer-reinsurer realm. 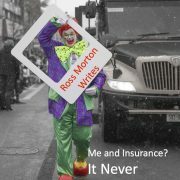 Their legends and urban legends of up to three years between a risk being assumed and contract issued by an insurer and the reinsurer knowing it was on risk. In an age where everything seems to have happened yesterday waiting three years for risk information and premiums seems like a hallucinogenic dream. Although we asked “how could it be true?” we know it was true. Surprisingly the one group who appeared nonplussed about the lack of administrative diligence was the stock analysts. That smart group appeared to care less about admin and even when told of the long delays in risk management they said “but the bottom and top lines are growing so why worry”. It made me believe accuracy of numbers was not something a stock analyst worries about when drawing conclusions on a stock’s value. Solutions were many and they ranged from better administration systems to real risk management practices. But one of the quickest solutions was to try and insulate oneself if you were a reinsurer from the administrative bottlenecks and poor risk management in the insurer who was always tardy in appreciating the importance of reinsurance administration even when 75% of the risk was passed off to one or more reinsurers! The hallowed jumbo limit was a quick and clean protective barrier to poor administration in the cedants. Our industry defines the jumbo limit as “A limit placed on the amount of coverage that may be inforce and applied for on an individual life for automatic reinsurance purposes. If such insurance exceeds the limit, the risk must be submitted for facultative review.” (Taken from the Glossary of Reinsurance Terms compiled by the American Council of Life Insurers Reinsurance Committee). If an insurer wrote the jumbo treaty clause with feeling it would probably read as follows: An overly restrictive limitation on the ceding company’s previously agreed to authority to cede specific cases on an automatic basis because the reinsurer does not trust the cedant or the insurers in general to administer reinsurance in a timely and detailed way. If the amount of insurance currently being applied for with the ceding company, which may be well within the cedant’s binding authority, and all other companies, together with the amount of insurance in force with all companies, which is rarely accurate or even known, exceeds the jumbo limit specified in the automatic treaty, the case may not be ceded automatically. Generally, as my reinsurer you insist that whether explicitly stated in the treaty or not, amounts of inforce insurance to be replaced are included in the jumbo limit determination. If a reinsurer wrote the jumbo treaty clause with feeling it would probably read as follows: A much needed limitation on the ceding company’s authority to cede specific cases on an automatic basis because we can neither trust the cedant to pass on material risk information in a timely fashion or perform proper due diligence on the ultimate amount of insurance to be in force at any point in time. If the amount of insurance currently being applied for with the ceding company, which may be some very large sum that clouds the judgement of the cedant’s underwriters and marketers, and all other companies, together with the amount of insurance in force regardless of “intentions” which are often fleeting, with all companies, exceeds the jumbo limit specified in the automatic treaty, the case must be ceded facultatively where our underwriters can properly underwrite the risk both financially and medically ensuring proper diligence is applied. Generally, whether explicitly stated in the treaty or not and we know from experience blunders are made often, amounts of inforce insurance to be replaced are included in the jumbo limit determination specifically because you insurers can never guarantee the replacement and are loath to follow up on after issue. Reinsurers give two reasons for forcing jumbo limits on the industry: first they recognize that their own finite automatic capacity on a particular life may already be totally absorbed by other clients on a life with a lots of inforce insurance; second, they have learned from experience that the fine art of large case underwriting is best left to those underwriters employed by reinsurers since they know best (just like in the sitcom Father Knows Best). Having self professed prowess in the large case market, reinsurers want to control the underwriting evaluation of these cases. In several publications or articles it is boldly stated or subtlety implied that the ceding company’s underwriters overlook jumbo limits enough to scare the bejesus out of true risk managers. It is great to see that a reinsurer or reinsurers trusts this rather large company with above average industry reputation for risk selection to the level of $50 million per life. The reinsurer(s) then take it all away and say your underwriting falls apart if there is already a policy in force for $20 million issued say ten years ago. The reinsurer steps in and has its finest underwriters of a certain vintage start all over again and makes their own decision as to the financial and medical well being of the proposed insured. The reality is that in most cases the jumbo limit is there to compensate for poor administration and risk management. If our industry had great, sorry make that average, administration the need for a jumbo limit of such a low amount as $50, $60 or $70 million would not be needed. If at the time of application all automatic reinsurers were given notice of the potential risk and had a window of say 48 hours to respond with retention conflicts why would we need such low jumbo limits? If we had better risk management and work flow software we could almost eliminate the jumbo from a consequential level. Yes there may be instances because of “not takens” and such that a reinsurer is left with no risk but even that could be eliminated if we trained underwriters to both underwrite better and manage risk better. Sloppy and much tolerated error prone risk administration got our industry into this mess and improved administration and risk management will truly get us out of the mess. Jumbo limits at the current levels are merely a Band-Aid on a gaping wound of a haemophiliac like industry that lags in administrative excellence.